Finding the ideal gift for a bachelorette party can prove to be unexpectedly complicated. The possibilities are virtually endless, so it will take you quite a while to get through all the options. We would like to provide you with a few bachelorette gift ideas that will surely delight the bride-to-be. When looking for the perfect gift, don’t take the bachelorette party too seriously. The best gifts should be amusing, so that everybody at the party is engaged in the spirit of the event. 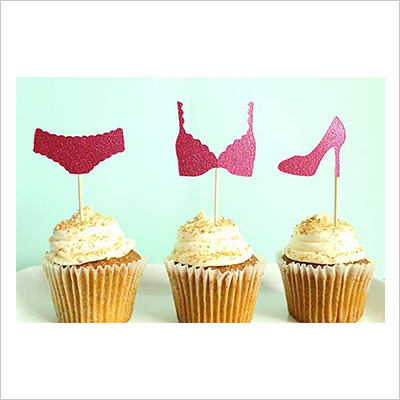 Take a look at our bachelorette party gift ideas for suggestions! These glasses are the perfect way to get the party started. Having a cocktail shot from an over-sized wedding ring will get everybody laughing. We strongly suggest taking a picture of all the ladies at the party enjoying their drinks, because it is going to be hilarious. We should mention that every shot glass comes with a lid, so that ladies can prevent getting their dresses stained. This is certainly one of the most amusing bachelorette party gift ideas ever. 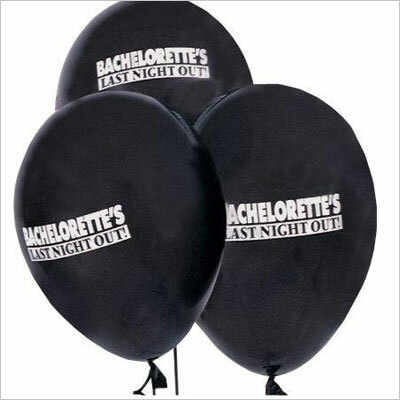 Bachelorette parties need amazing decorations, and this kit has absolutely everything you need. 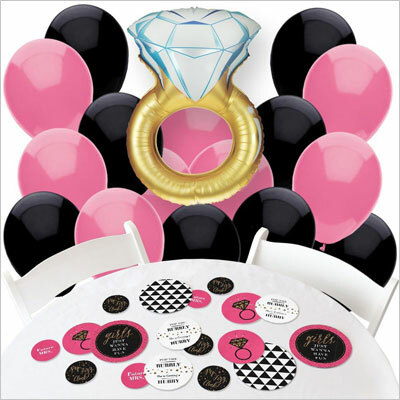 It includes high-quality pink and black balloons, and amusing party-themed coasters, which will brighten up the room. The kit also includes a 37” wedding ring balloon, which will make an excellent centerpiece. Last but not least, the combo kit includes confetti and glitter, which are perfect for those amusing party moments. 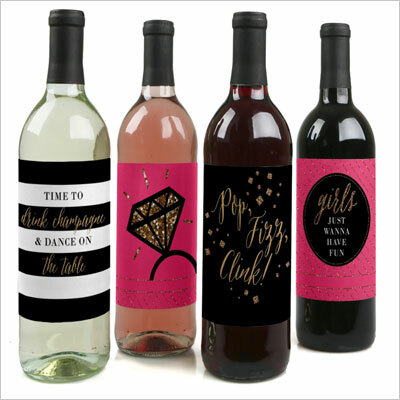 This is one of the best bachelorette party gift ideas because these decorative labels will get everybody at the party engaged in the atmosphere of the moment. You can never have too many party decorations, and having some for wine will definitely manage to get people laughing. 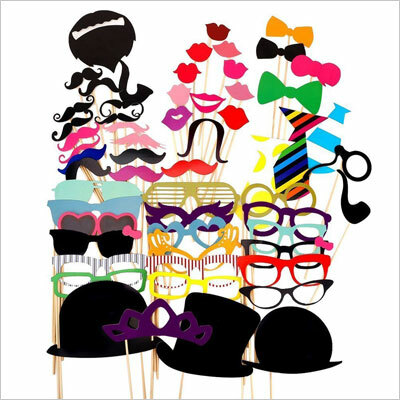 This pack includes 58 paper masks and props for a photo booth. These masks and props are one of the most amusing bachelorette gift ideas because they will provide everybody at the party with some hilarious photos. All you need for a photo booth is a clear wall, a camera, and this prop pack will do the rest. Cupcakes are a must for any successful bachelorette party. That’s why cupcake toppers are the ideal decoration. This pack includes 24 toppers that will make the cupcakes stand out. Since this is a bachelorette party we’re talking about, the toppers are pink and glittery. This is one of the best bachelorette party gift ideas for the bride, because you can help her relax and enjoy her night with the help of a delicious cupcake. This is one of the most popular party games of all times, because it is an excellent way to get people to know each other. It is bound to lead to some hilarious conversations, which makes it one of the best bachelorette party gifts. 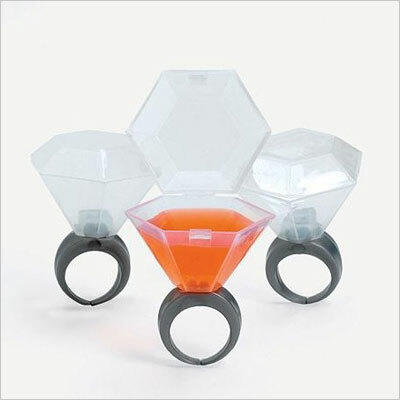 We suggest pairing it with the wedding ring shot glasses listed above to get the complete experience. 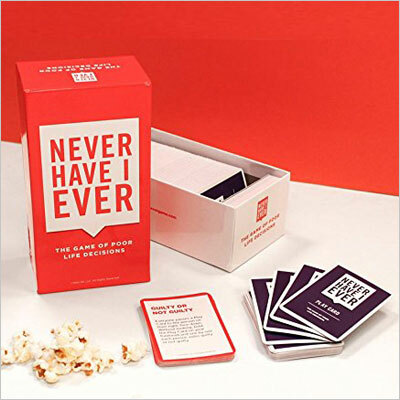 This version of the game comes in a stylish package, and it includes as many as 485 Never Have I Ever play cards, which makes it suitable for a large number of players. Please note that the game includes explicit material, which makes it appropriate for players aged 17+. 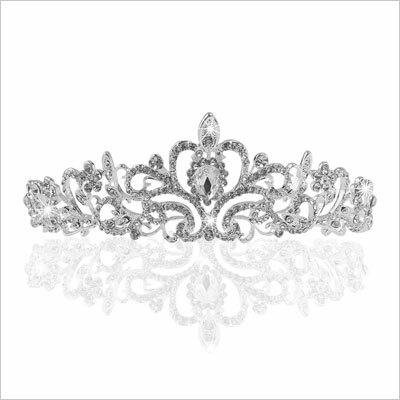 The tiara is a well-known symbol of the bachelorette party, which makes it one of the best bachelorette gift ideas. As you can imagine, there are numerous models that you can choose from. However, our suggestion is to steer clear of all the tacky ones, because it might make the bride feel uncomfortable. We chose this crystal and rhinestone tiara because it is inexpensive, but it shows good taste, so, it can make the bride feel like a queen. This kit is by far one of the most creative bachelorette party gift ideas, because it includes absolutely everything that the bride could need on her big day, from a sewing kit, which could prove to be extremely useful in case of any wedding dress accidents, to hair pins, which could fix any hairdo malfunctions. It also includes breath mints, aspirin, a chapstick, nail polish, and makeup remover wipes. 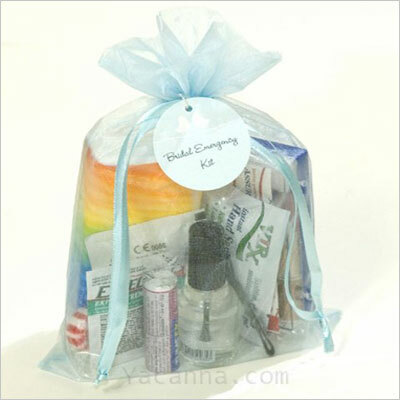 This amazing kit is conveniently wrapped in “something blue”, which makes it the ideal gift for the bride. It is extremely valuable for both the bride and the bridesmaids, because it can prevent a long list of embarrassing situations. This is our no. 1 pick because, like the bridal emergency kit, it could prove to be extremely useful for all the ladies at the party, and it can prevent quite a few uncomfortable moments. It is one of the best bachelorette gift bag ideas. A quirky choice, this bag can be filled with things like chewing gum and breath mints, wet wipes, Advil, vitamins, an energy drink, and band-aids. 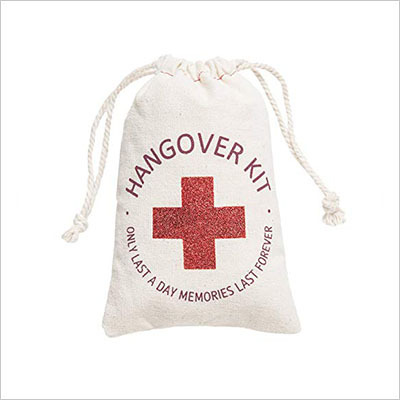 The charming white bag has the inscription “Hangover kit” on it. We hope that our list of bachelorette gift ideas will inspire you in your search. A great gift for the bride-to-be and her maids of honor will bring a big smile on their faces, making that special party unforgettable. Our picks are classy, tasteful, funny, and inexpensive. Do you have other great bachelorette party gift ideas? Do not hesitate to share them with us! We’d love to hear from our readers!